The most interesting one day tour near Cusco – Huchuy Qosqo trekking will give you much more than just beautiful landscapes! Huchuy Qosqo (Little Cuzco) is an Inca archaeological site, situated in the Sacred Valley of the Icas in Cuzco region, Peru. It lies at an elevation of 3,650 meters above sea level. There are some trails wchich lead to this place, but the most spectacular one starts near Cusco city. 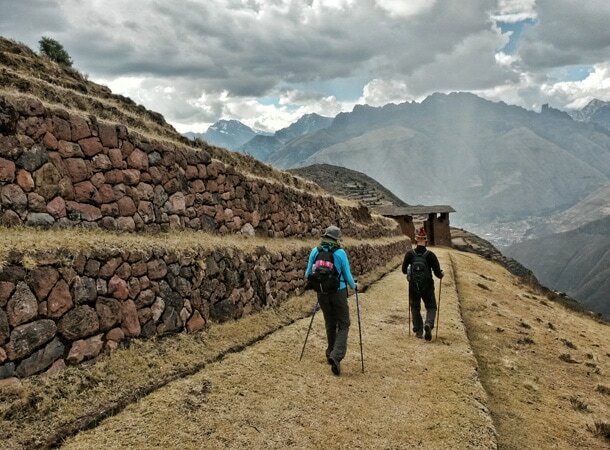 It is quite long (around 8-9 hours of walking) but amazing trail with big part of real Inca trail. If you love longer treks and uniqe landscapes connected with a lot of history, this tour is perfect for you! Trekking to Huchuy Qosqo is either one full day or even two days. It all depends on our physical fitness and how we are acclimatized to the altitude. The highest points during the trek exceeds 4000 m above sea level. If you already stay for some days in the Andes, have a good physical condition and if you like to walk even 8-9 hours a day, definitely you can attempt to start and end this trip on the same day. The route is demanding and difficult only when you do it in one day. The first difficult section appears at the beginning, because you must climb at over 4,000 meters, to the pass. Overcoming this part takes over an hour and runs all the time uphill. Then most of the route is flat, or slightly down, except for a few small hills. The final one hour of the trek – from the ruins to the town of Lamy – is quite steep downhill. The trek takes around 8-9 hours what makes it a little bit more demanding. If you are not used to walk so many hours, it is better to do 2 days long tour in that area. It is highly recommended to do at least 2 days acclimatiozation before starting this trek (beause the highest point is more than 4000 m above sea level). It is necessary to be in very good phisical condition, becasue the trek (if you do it in one day) takes around 8-9 hours. 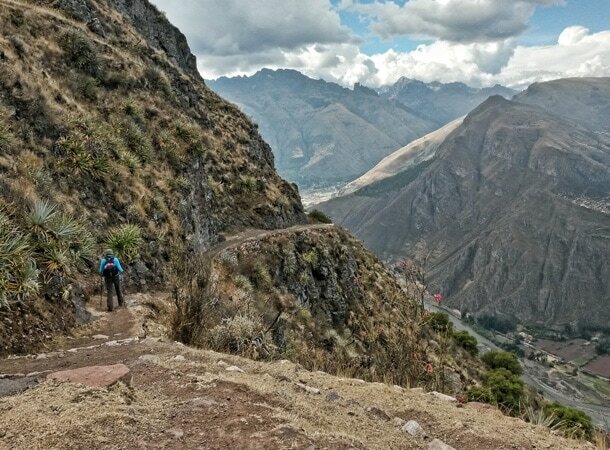 Fall in love with Peru and with the best one-day trails in Cusco region.